1839 is considered to be the year in which Schibsted Forlag was formally established. Schibsted becomes sole proprietor of the printing house in 1843. 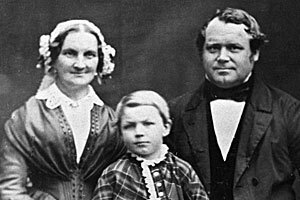 Christian Michael Schibsted (1812-1878) is orphaned at an early age. He grows up in Christiania Opfostringsanstalt, a children’s home where he receives training as a typographer and printer learns about the newspaper business. After working for several printers, he enters into partnership with Johan J Krohn, a printer who had founded a printing house in 1827.